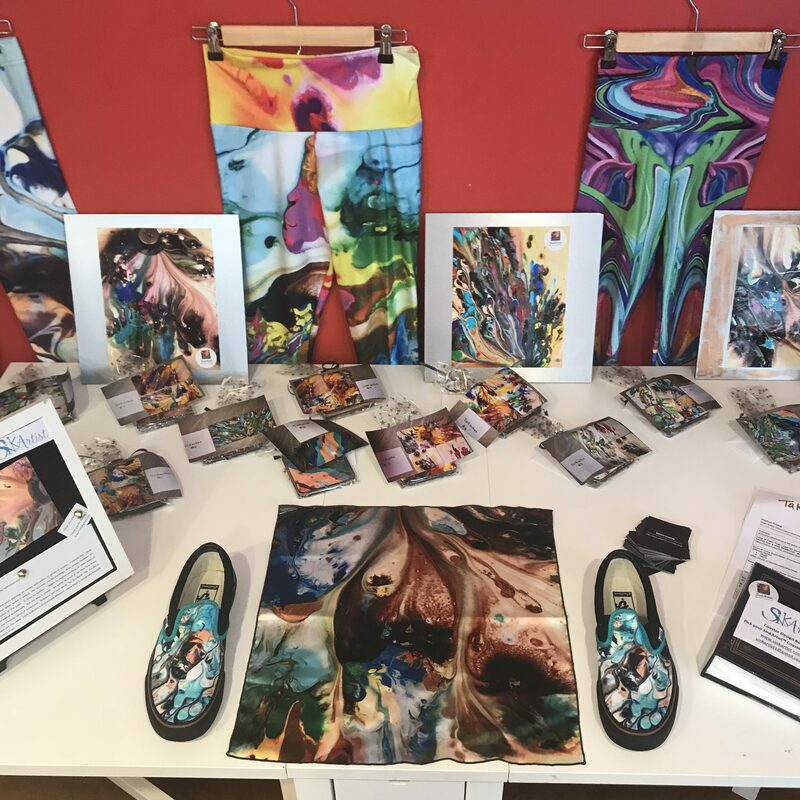 Come discover the beautiful wearable art of Brenna Lenchak in our opening reception for August’s artist of the month, SinkArtist! No two designs are the same. Each outcome is dramatically different. Every piece is completely bespoke and unique–fleeting moments of art! 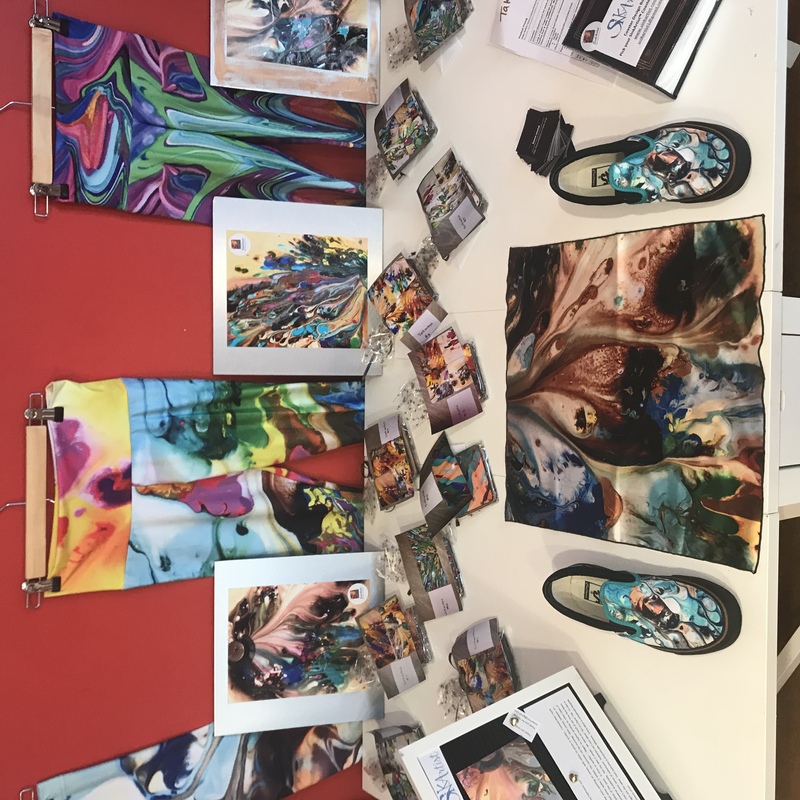 The Red Bandana Bakery will serve a free celebratory cake honoring the art’s aesthetic, and be open late with our full menu for sale for this special event 🙂 Brenna’s work will be up for display and sale for all of August.